Play is so important! Childhood play and development go hand-in-hand. Play helps children learn more about the world around them and how to interact with other people of different ages. In this post, we will take this childhood play outside! Learn about different nature ideas for kids! 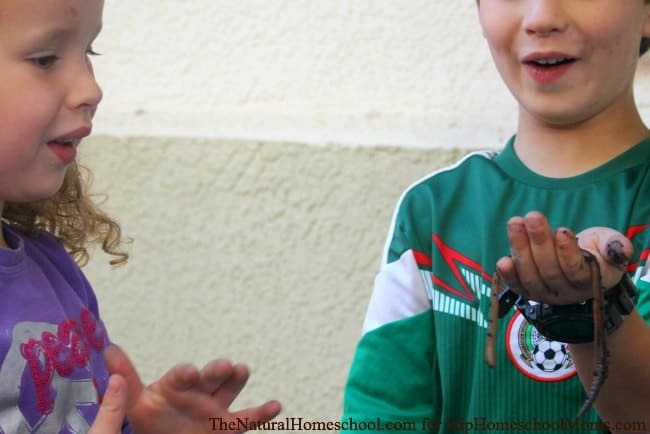 Here is a list of great ways to take the fun and learning outside. When it comes to childhood play, the outdoors is the perfect place to explore, create new memories and have fun. Unless the weather is stormy, going outside is the way to go. From exploring in the backyard to going camping, being outside is what is important. There is just something special and almost magical about nature and the outdoors. And with a childlike sense of wonder, nature is even more special! 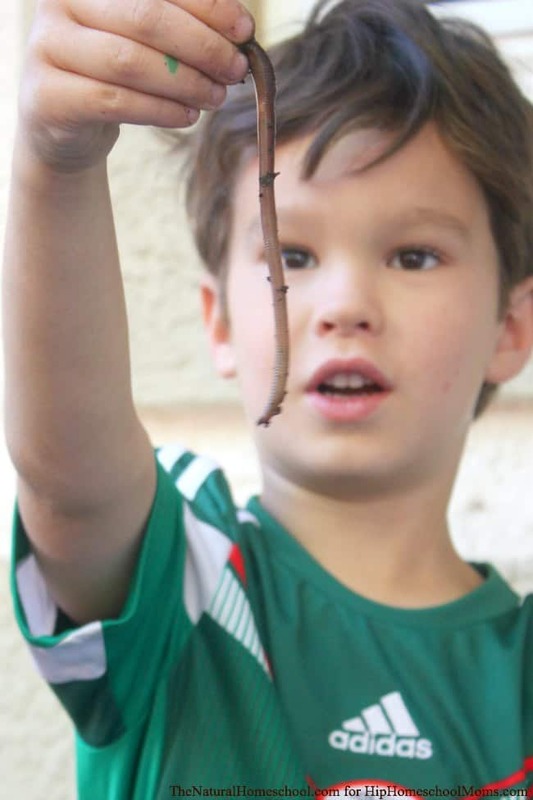 The truth is, my children love playing with our leftover nightcrawler worms from our bait box after going fishing. They find them fascinating and will play with them for a long time. We have studied their anatomy and found out some awesome things about these little crawly creatures. Don’t forget that your local library is a great resource to do some research. Follow your children’s interest because honestly, it is the best way for children to learn. Have you ever thought of doing a Bird Nature Study? Getting started with a bird nature study may seem difficult, but with just a few simple items you can be up and out in no time! Give it a try! Or what about going on a Nature Walk and have a Scavenger Hunt? One of the easiest things to do in the fall is to take a nature walk. Find a local park or trail to spend a couple of hours exploring with your kids. Maybe you want to try something new and go for an ABC Nature Walk! What is that? You just draw a very easy chart with the letters of the alphabet and spaces to print and brought it along on a clipboard. It is also important to keep in mind that some of the best homeschool lessons do not come from books! Real life can be the best teacher of all. 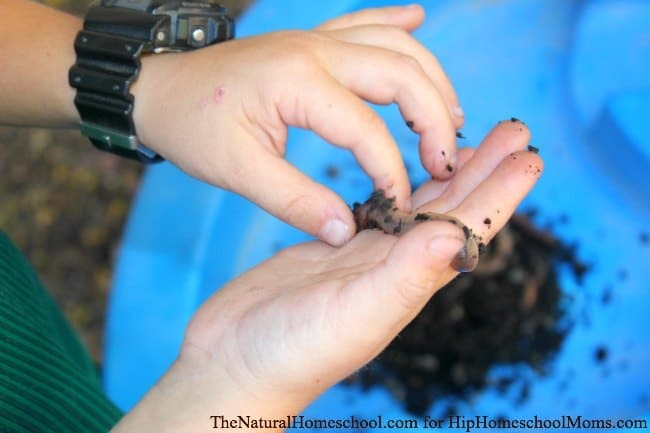 Here are some great Lessons in Nature that all homeschoolers will appreciate. Sometimes, we use printables to make our lessons more understandable and/or more fun. HERE is a great list of some free printables related to Botany, Gardening, and Nature. If you love Botany and want to focus on that with your littles, HERE is a great resource for you! Children will enjoy printables about planting a garden, about the parts of a plant, a tree and a flower. They will love learning about edible roots like carrots and onions and so many other wonderful topics! 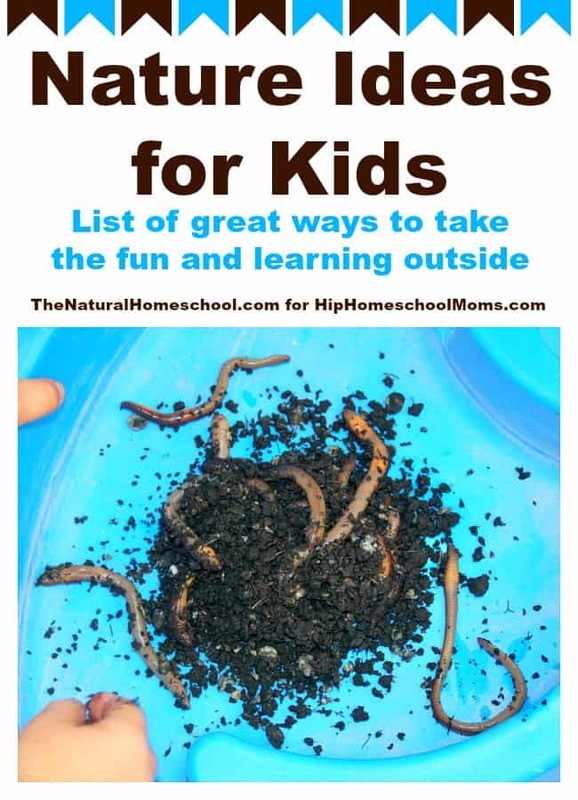 Finally, thank you for visiting our Nature Ideas for Kids – List of great ways to take the fun and learning outside! post.